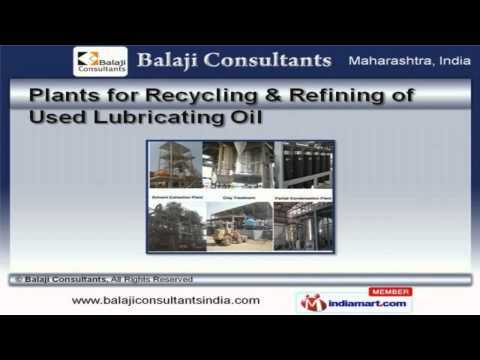 Welcome to Balaji Consultants, Manufacturer and Exporter of Recycling and Re Refining of Lubricating Oil. The company was established in 2014 at Pune. We have spread our wings to Saudi Arabia, Dubai, Sri Lanka and other countries. Immense domain expertise, Habitual timely deadline approach and feasible services make us the first choice of our clients. Cash, Cheque & DD are some of our payment modes. We offer a wide variety of Lube Oil Blending, Grease Manufacturing and Waste Oil Recycling Plants. Our Plants for Recycling and Refining of Used Lubricating Oil are best in the industry amongst others. Lube Oil Blending Plants offered by us are well known for their impeccable performance. Grease Manufacturing Plants are setting a performance standard in the market. Our Waste Oil Recycling Plants are extremely reliable.